Today’s bike club ride was another odd sightseeing route, this time featuring two items I found on Roadside America. 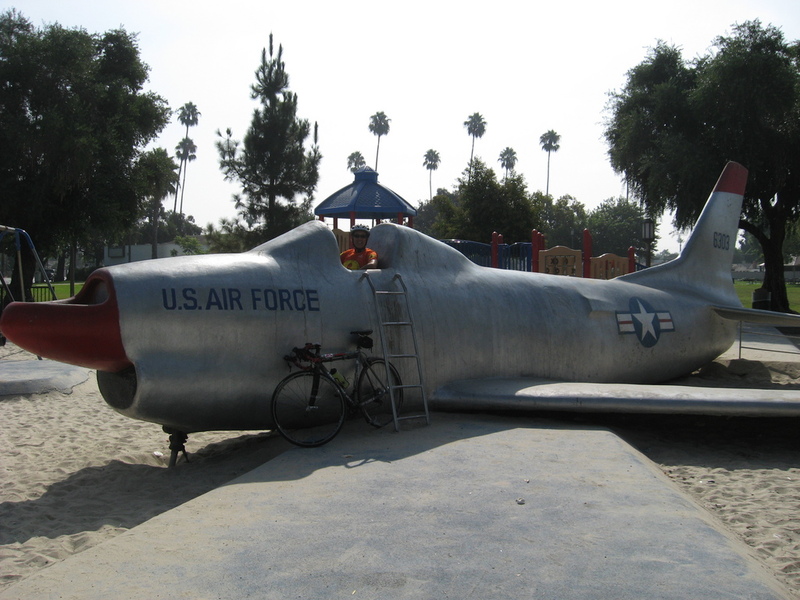 One was the sea monsters playground at Vincent Lugo Park in San Gabriel, and the other was the F-86 Sabre Jet in Palm View Park in West Covina. A number of our regular riders rode the Cool Breeze Century on Saturday, so we had a small group today, but that’s all right. We headed down through San Marino to San Gabriel. 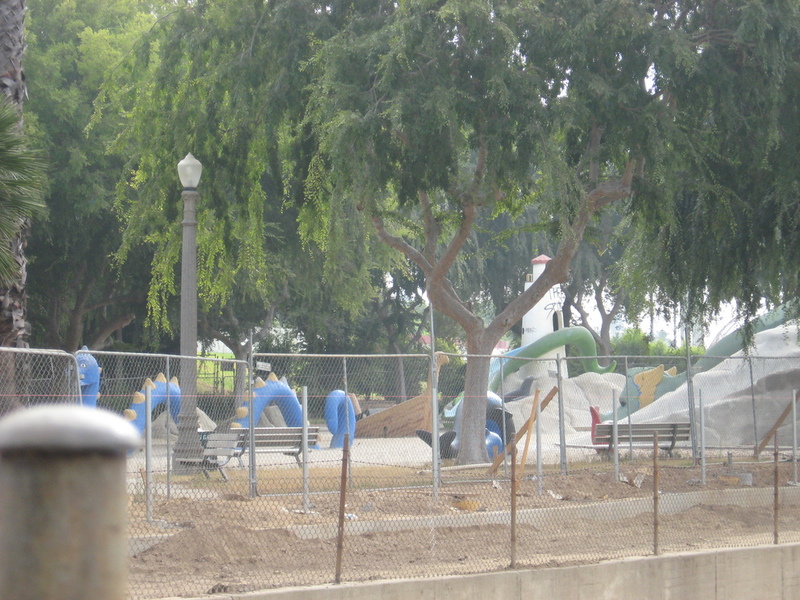 When we got to the first park, it was closed off, and the grounds were all torn up. 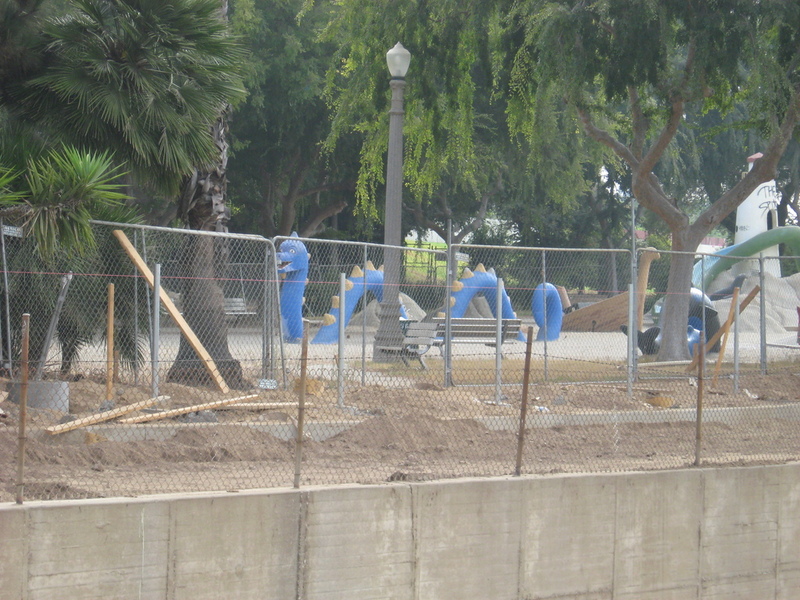 It looks like they are redoing the landscaping. We rode around the block to the back of the park, and we could see that the playground was still there. It’s just closed for the time being while the rest of the park is being renovated. 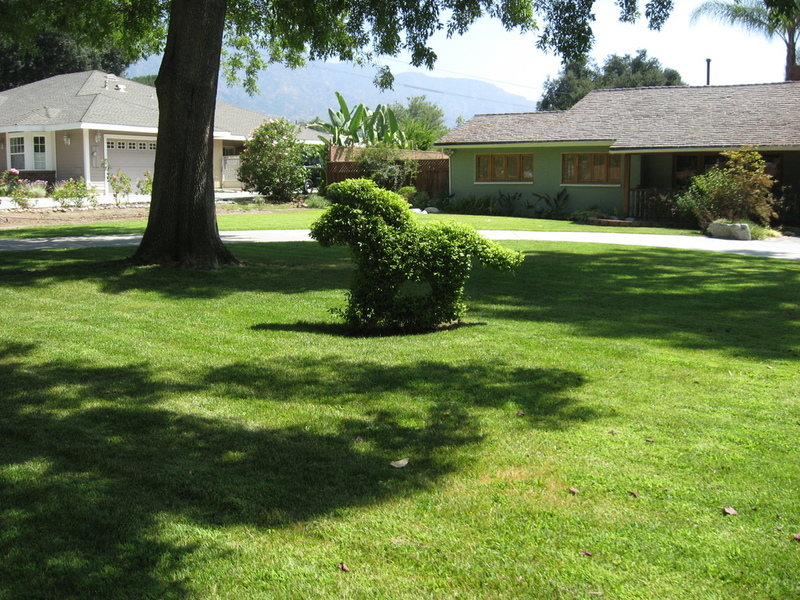 From there, we headed straight east out to West Covina. 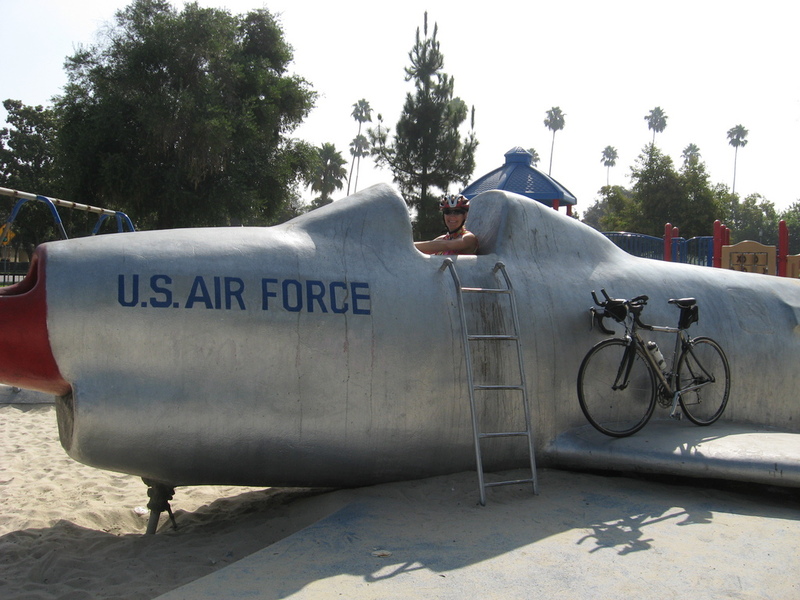 The Roadside America listing made it sound like the airplane was a real airplane body, but when we got there, we found that it’s actually a full-size model cast in concrete. Still, it’s just the sort of thing that certain kids would really enjoy. Our snack stop was at Panera in West Covina, and then we came home by way of Santa Fe Dam and the bike path. It was a nice ride.